Have you ever walk into a woods and suddenly felt like it was a good place to rest, but you are without a tent or hammock? OK. To be fair, under normal circumstances, you probably won’t have this sudden urge to camp, or even be in a woods so unprepared. 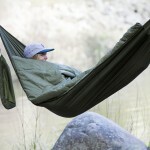 But assuming that you do, then you will be glad that you have the Nomad Hammock on your back. 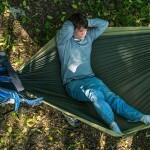 Inspired by the art of origami, Nomad Hammock is actually a hammock cleverly conceived to be folded to become a backpack capable of swallowing more than a handful of everyday items. 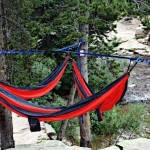 So, the next time when you are out for a walk in the wooded areas and stumble upon two irresistible trees that beckon you to put a hammock between them, you know you are all covered. On top of that, it is a handy backpack too. Granted, it may not pack as much as what a full-fledged backpack can, its 20 liters (5.3 gallons) capacity can still hold quite a lot, including larger items like an iPad. From what we see from the pitch video, it is looks it is good for more-than-basic survival gears. And when you reach the said irresistible trees, resting hanging above the ground is just minutes away. 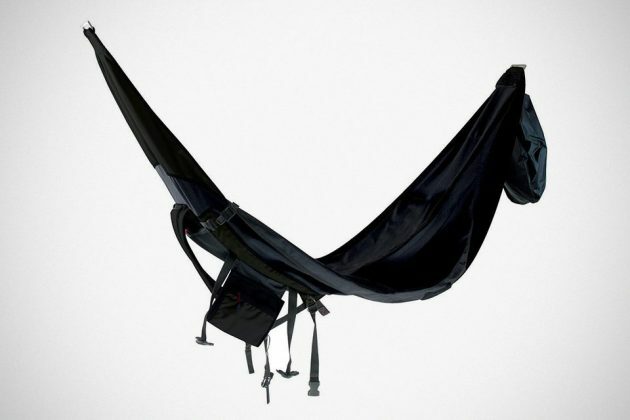 A clever design ensure its content can be detached and hanged on the hammock as you rest high up, away from the creepy crawlies. 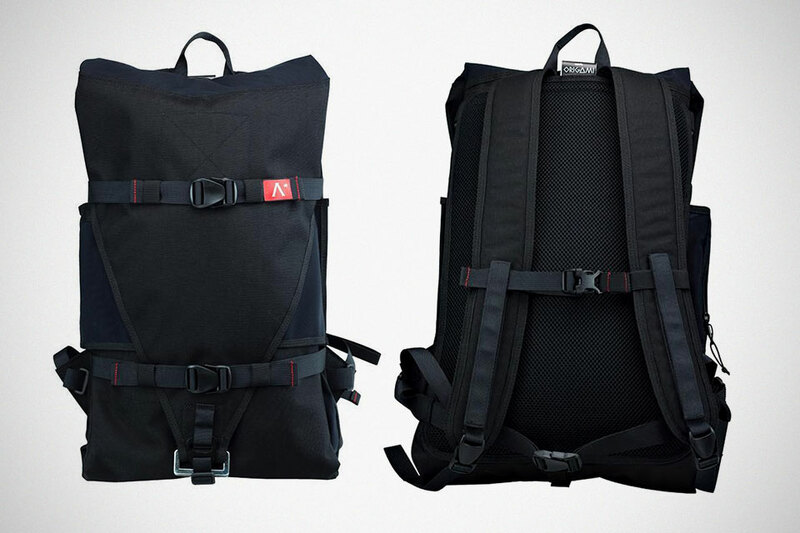 Features of the backpack/hammock hybrid include stretchy and breathable body adaptive mesh, hook for hanging the smart bag (the aforementioned internal bag), Duraflex buckles, adjustable suspension straps, CORDURA material, breathable and adjustable back and shoulder straps, zipper pockets, and as a bag, it comes with a rain cover to keep the package nice and dry in the event of a downpour. 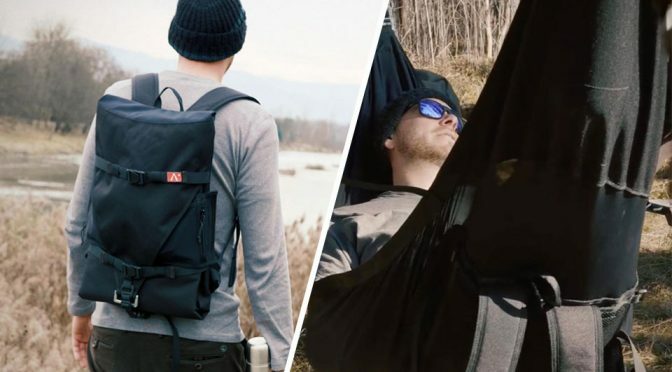 NOMAD Hammock Backpack is the product of an Italian startup and it has just went live on Kickstarter where, with a pledge of 195 euros (US$240) or more, you will be able to secure yourself one. However, this being a crowdfunding project, the fate of the product pretty much lies in your hands. In other words, whether or not the product will see fruition will depend if the project has meet the set funding goal in a set period. Like I said, the campaign has just went live and therefore it is too early to judge, but it will be shame if such a brilliant idea did not get the support it deserves. 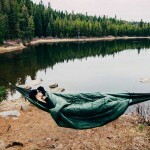 Images courtesy of Nomad Hammock.